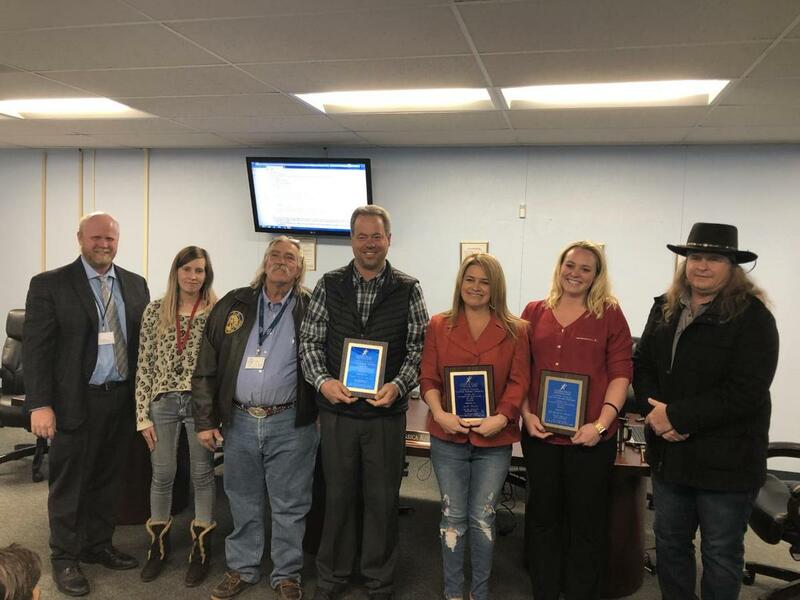 Teacher McKenzie Wolf and food services employee Amy King were presented with the Lucerne Valley Unified School District’s Employees of the Month awards during Thursday’s regular monthly meeting of the LVUSD governing board. McKenzie Wolf, the certificated Employee of the Month, has just joined the Lucerne Valley Elementary School Team. She currently teaches 5th grade and is doing a wonderful job. She is a natural. Ms. Wolf has the unique ability to build strong relationships with her students and their parents. Students truly enjoy being her class and enjoy learning. Ms. Wolf has embraced all of our initiatives at LVES. She has implemented, Thinking Maps, PBIS, Gradual Release of Responsibility, and Great First Instruction. Anything that is brought to staff McKenzie implements right away. She has taken the time to research and be responsible for practices in her classroom. She also organized a group of new teachers to LVES in attending a new teacher s conference on a Saturday in the middle of December. The entire team came back excited and energized for the second half of this year. There is nothing that Ms. Wolf is not willing to attempt if it is good for kids. McKenzie is learning her craft well. We are so thankful that she is at LVES. 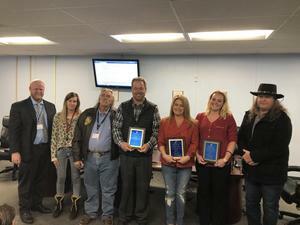 Amy King, the district’s Classified Employee of the Month, has proven to be a very versatile employee. Amy can be depended on to fill in at the Elementary school at the last minute. As well as complete her daily job at the high school. She adapts well to change. Amy is always very cheerful with the students. The students find her to be very approachable and sincere. Amy is a key contributor to our Food Service team. She is dedicated to serving the students any way she can. School administrators are proud to have her as part of our Food Service team.